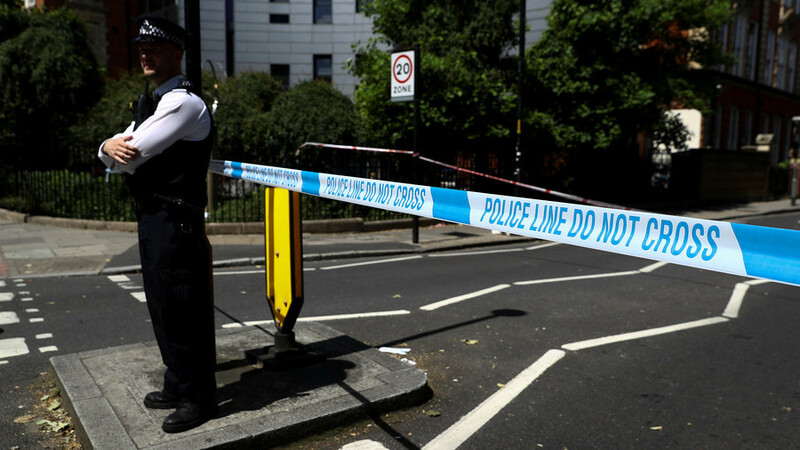 London’s Metropolitan Police are hunting a man who sliced across a woman’s bottom with a sharp object, in a random attack, leaving her needing hospital treatment, the Evening Standard reports. Detectives have released CCTV footage of the moment the attacker follows the unsuspecting woman to the entrance of a flat on Craven Terrace, Westminster, before cutting across the victim’s bottom from behind. The assault took place on October 28. The woman, believed to be in her 20s, is seen turning around and grabbing the point of contact, by which time the perpetrator, who had barely broken stride, flees the scene. It comes as a UK parliamentary briefing paper released earlier this month showed between March 2017 and March 2018, there were around 40,100 offenses involving a knife or sharp instrument in England and Wales – the highest number in eight years. London recorded the highest level of offenses involving a knife per 100,000 population in 2017/18 at 168, an increase of 26 offenses per 100,000 population from 2016/17.